Evo & Grace: The WanderLusts: The best of southern Palawan in Onuk Island. Drone shot of Onuk Island. 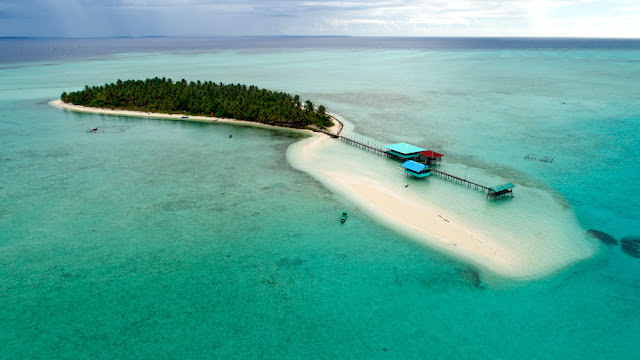 Onuk Island aka Roughton Island is a must see destination in the southern Palawan, particularly in the municipality of Balabac, this is after getting famous due to a worldwide photo contest showcasing the ala-Maldives type beach with magnificent rainbow. Onuk Island is considered heaven for many travel bloggers and for tourist who love sun, sand and sea. I was fortunate to visit this island last summer along with Team JAMP. From March to July is the best time to visit Onuk, waves are not that big in those months. 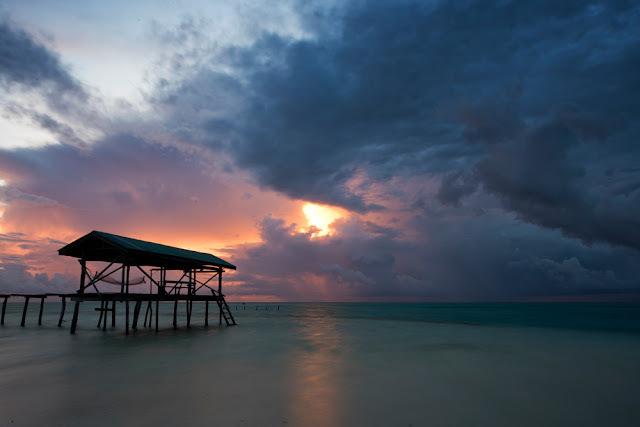 Onuk is the nick name of the great grandfather of Astami clan, the owner of this island and was being managed by Ronald “Toto” Astami, who happen to be an incumbent councilor in Balabac town. It was only this February 2017 they organize proper package tour in Onuk, due to increase in tourist arrival. 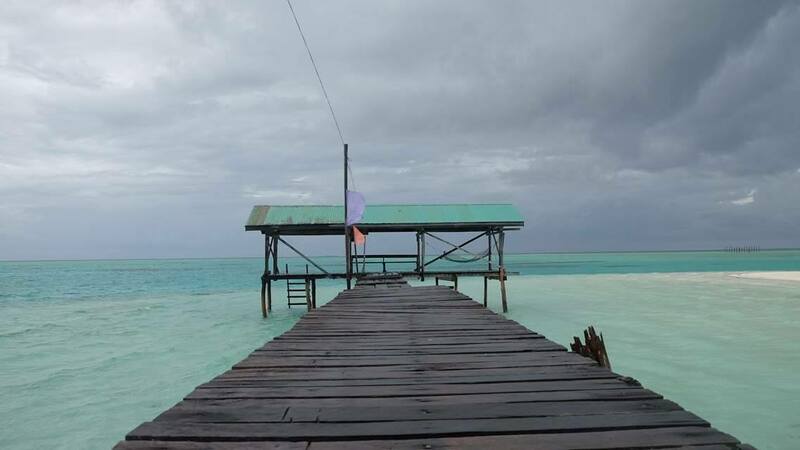 Sir Toto explain to us that Onuk use to be the family rest house island before, it’s not a resort or a public beach either, but it’s a common fishing ground for fisherman from Balabac. 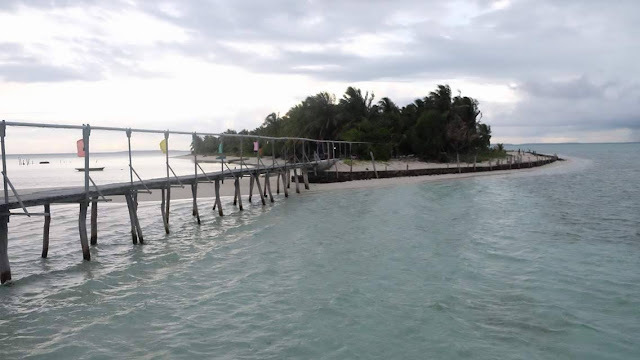 It’s a 30 minutes pump boat ride from the pier of Balabac. Getting near the island is a challenge for any boat especially during low tide, it cannot go near due to corals surrounding the islands, a small boat from Onuk will fetch you from your big boats in order to dock in the island. 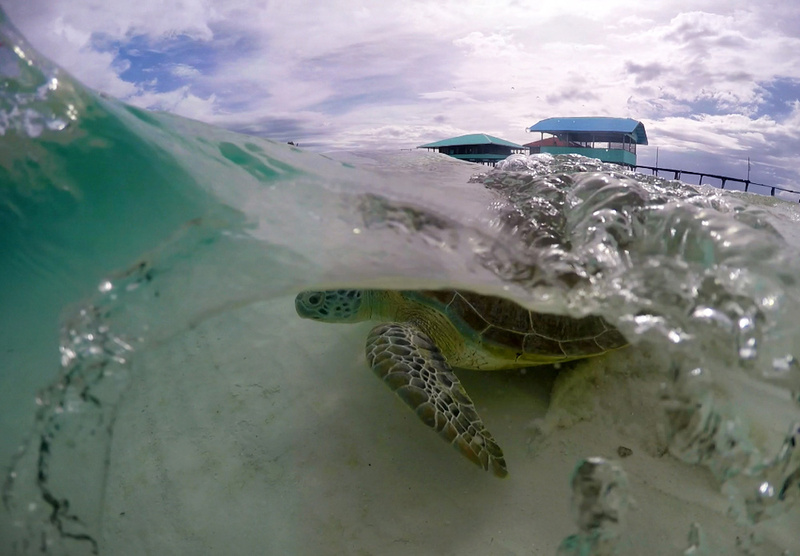 A scenery of beautiful coral reefs, colorful fishes and freely turtles usually welcome you before reaching the shore. The sand are indeed powdery plus the blueish to greenish sea water are all amazing to see, make sure you check the 360 degree angle in order not to miss rainbow appearances, not one but most of the time up to five spots in the sky, they are the regularly visiting Onuk from sunrise up to sunset either with rain or no rain at all. Visiting Onuk must first prepare yourself for a long haul trip, from Puerto Princesa City Airport take a shuttle van at the terminal going to Rio Tuba in Bataraza that usually take 5 hours travel time, advise the driver to drop you at the pier of going to Balabac, from the Rio Tuba pier to Balabac is another 4 hours travel by the sea. Sir Toto offer a package of P5, 000 per head for a overnight stay in Onuk with full board meals, from lunch, dinner and breakfast. It also includes the boat ride from Balabac town. Just don’t expect a class accommodation, no air-condition room, and waters for CR and bath purposes are usually from rain deposits. 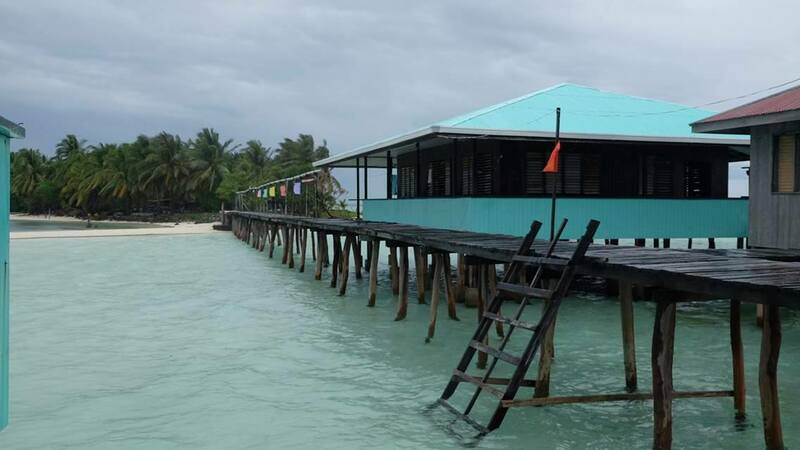 What best in Onuk experience is the food, it’s all seafood galore most of the time, eat all you can set up with juices from Malaysia, yes most of the common products in Balabac came from neighbor country, it is the border of the Philippines. Take note also that the Astami clan are moslems, so expect that they are not serving pork foods and they don’t allow you to bring any Pork products. Drinking and partying is also allowed, it’s just that you have to bring in your own liquors and beers as well as Ice. 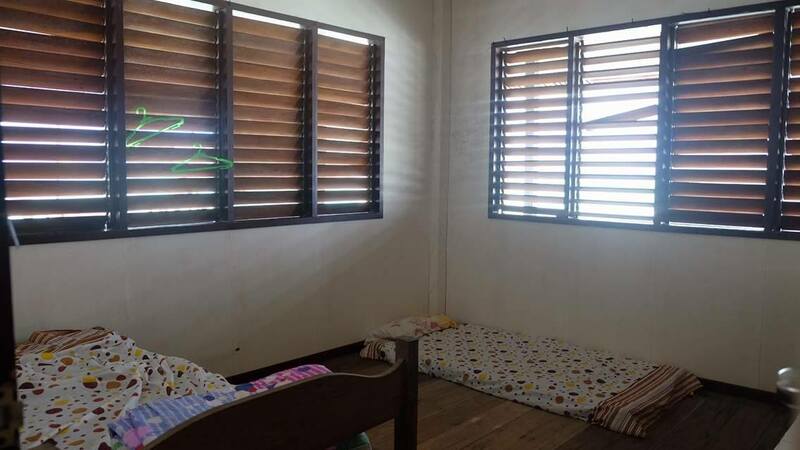 The come on according to Sir Toto is if you wish to extend your stay, you will only add P500 per day per head, and enjoy the same food galore, make sure to inform them early since Onuk is usually fully book during summer, and they can accommodate only 20 pax per day. 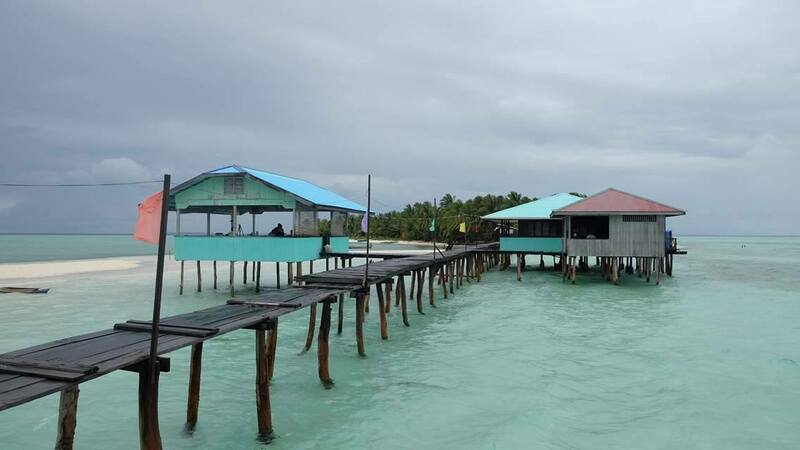 There are wooden structures seems planted at the sand, it is noticeable once your in the island, those are living memories of Onuk before according to Sir Toto, the other part is his old house while the other wooden poles used to be area for seaweeds farming he once invest in. Snorkels and any diving gear is not available in Onuk, you have to bring in yours. And there is no store as well in the island, toiletries and other stuff you have to bring in. Towels, beddings is provided in the island. To arrange your visit in Onuk you may contact Sir Toto at Smart Number 0935-155-6264, he can also help you contact boats from Rio Tuba to Balabac and vice versa.